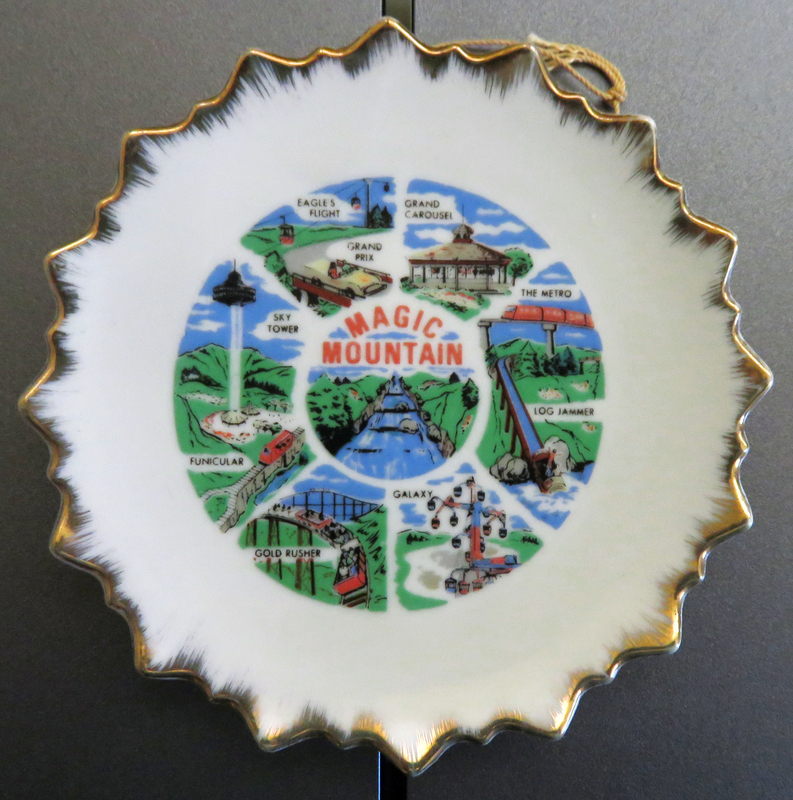 SCVHistory.com LW2803 | Magic Mountain | Small Porcelain Collector Plate-Wall Hanging, Early 1970s. Small (5-inch diameter) collector plate with string attached for wall hanging. Porcelain. No maker's mark; back is blank. Early 1970s (pre-1976 Revolution). Clockwise from top: Grand Carousel, The Metro, Log Jammer, Galaxy, Gold Rusher, Funicular, Sky Tower, Eagle's [sic] Flight, Grand Prix. LW2803: 9600 dpi jpeg from digital photograph of object purchased 2015 by Leon Worden.